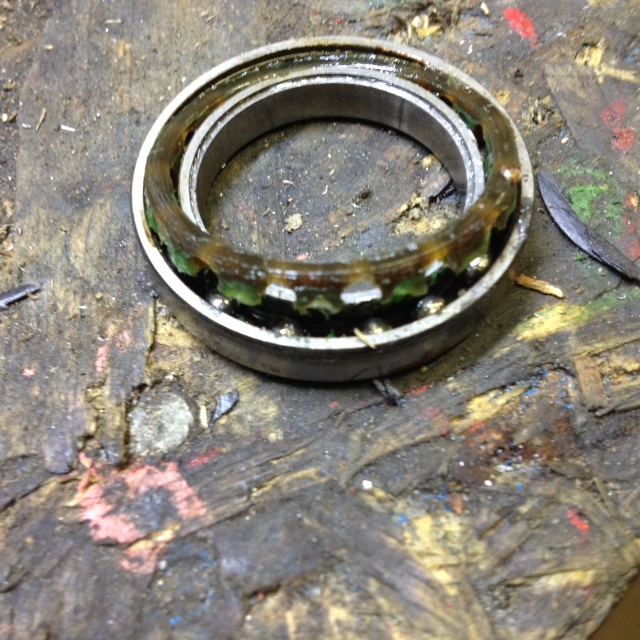 Below you can see my “high tech” tool for changing Shimano Hollowtech 2 bearings. 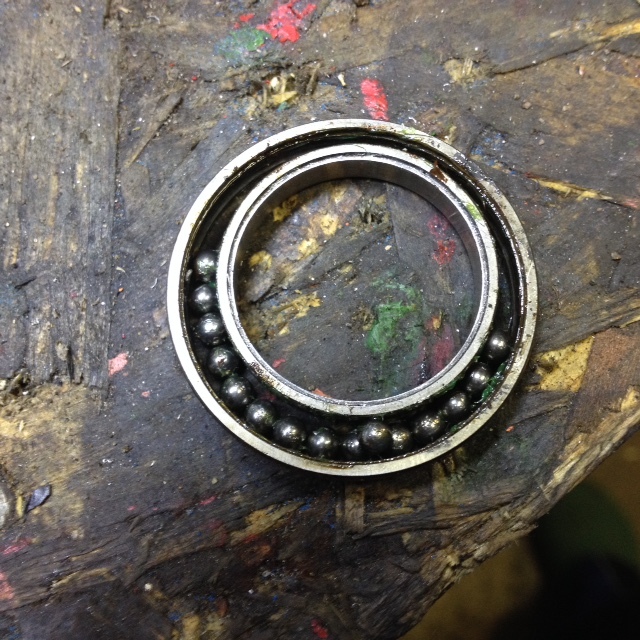 This time I’ve upgraded to cheap and cheerful Chinese ceramic bearings (size: 37x25x6mm; bearing symbol: 6805N). 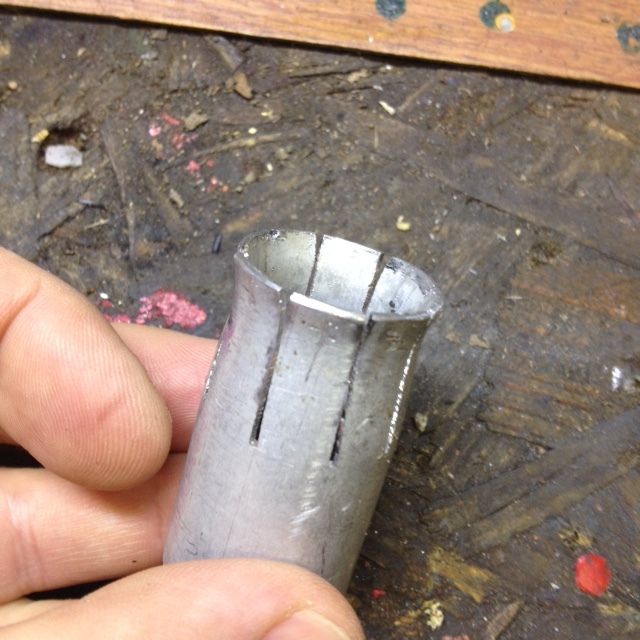 Faster method comparing to old one. 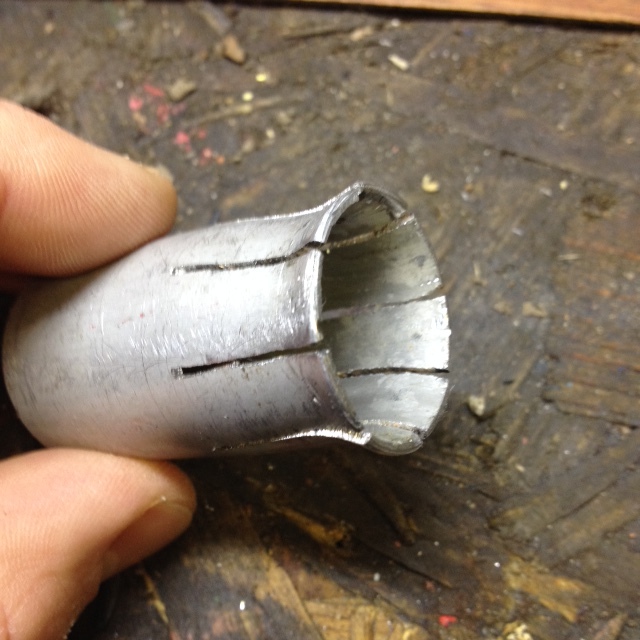 Basically I found piece of alloy pipe (quite hard not sure about the alloy type). 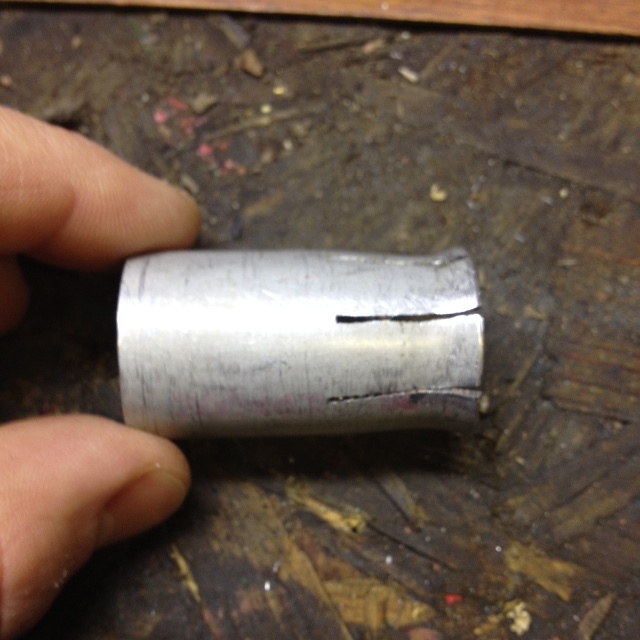 I made eight cuts about 20-25mm deep and bent the strips as you can see on the pictures (pic 1, 2, 3) (the hole on the inside of the cup is slightly smaller than inner dimension of the bearing). 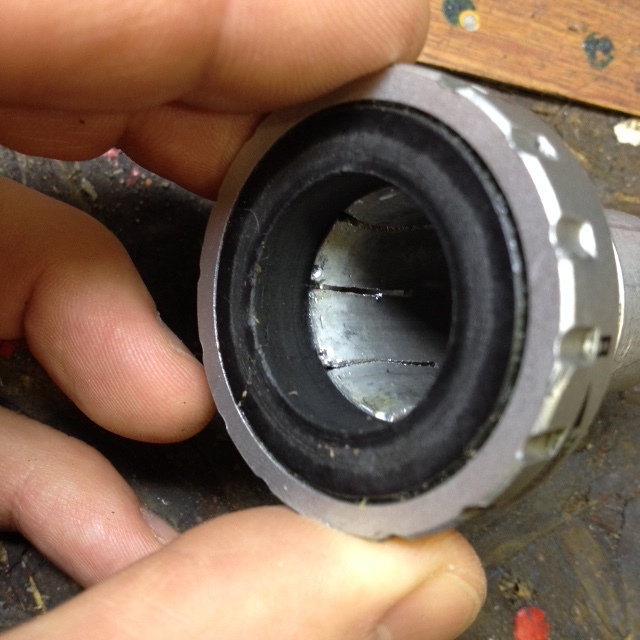 Couple of gentle taps with hammer to remove plastic dust caps (pic 4, 5), pry off the seal with thin screwdriver (pic 6, 7) and finally not so gently taps to remove bearings. 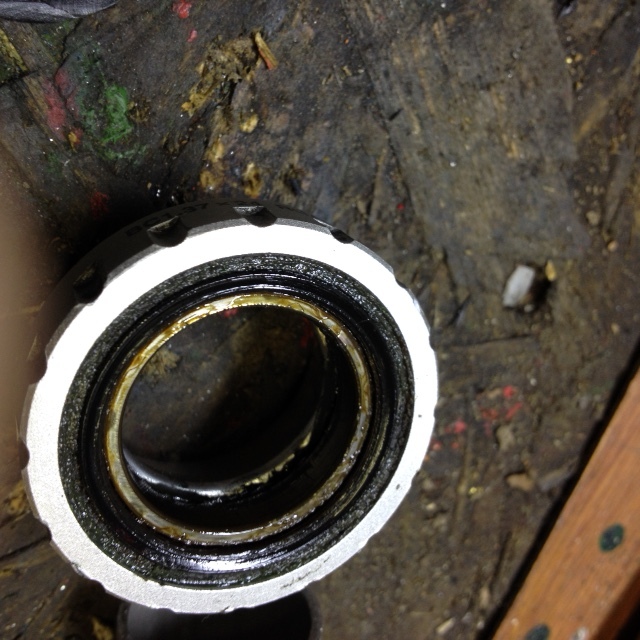 I had two bottom brackets, one was smooth and easy and second required quite a hammering to remove bearings. 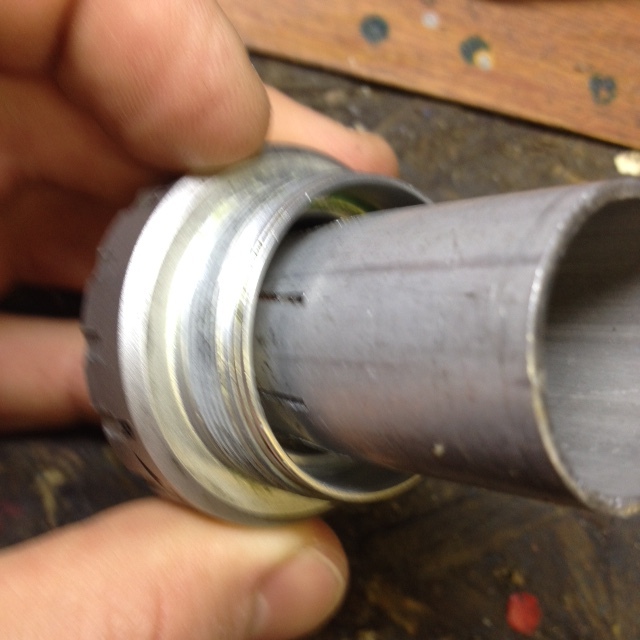 I’ve cleaned all the parts, the cups with 800 sand paper (pic 8) and greased inside. 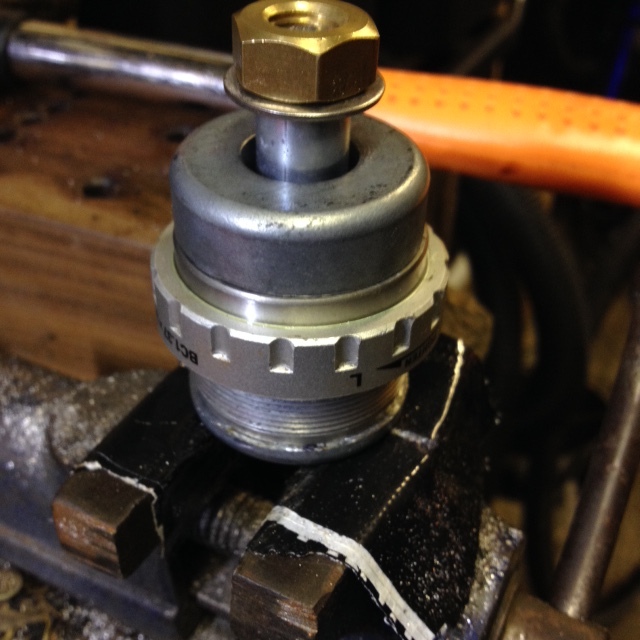 Pic 9 showing my stack mounted in a vice to press new bearing into the cup. 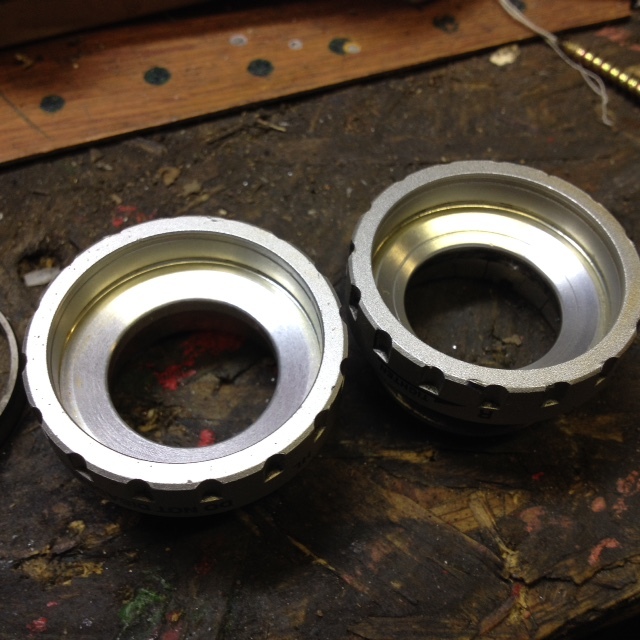 Can be anything just two thick washers and 8-10mm screw. 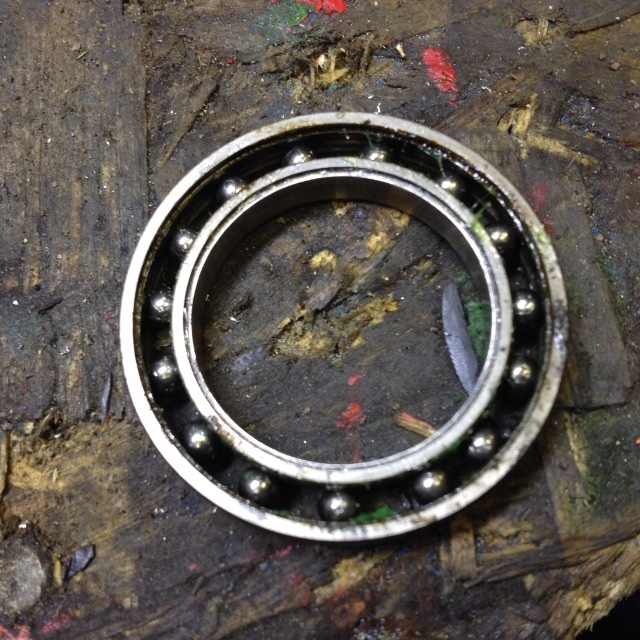 I’m quite lucky to have piece of alloy matching bearing dimensions but outer race from old bearing might be used to press new one (pic 10, 11, 12) (bearing needs to be pressed by outer race). 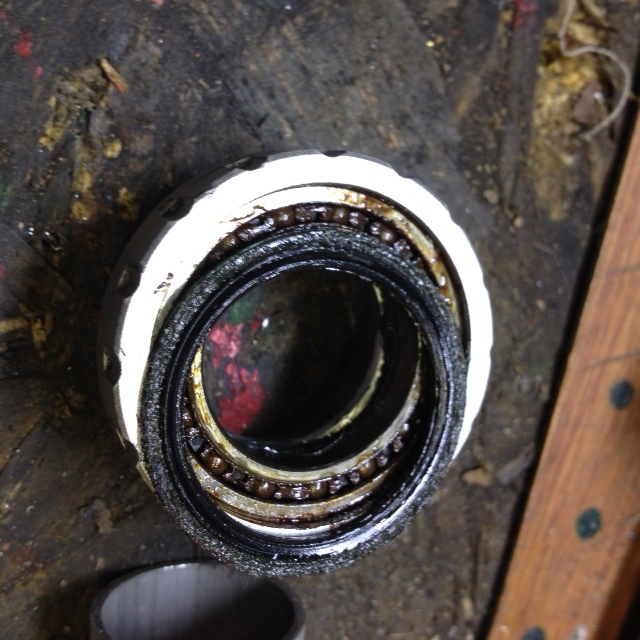 This entry was posted in DIY, frugal, problem solvers and tagged bottom bracket bearing change, Hollowtech 2 bearing change, Hollowtech II, shimano bottom bracket bearing change by myarseiskillingme. Bookmark the permalink.